The Flux Foundation wants to make the launch of flux as fair as possible. We wish to avoid 'instamine' and make sure the early bird doesn't get all the worms. In addition to the small initial subsidy Flux will have modified bitcoin retargets for the first 120 blocks. This will ensure that the difficulty prevents much of a instamine. Block 5000 - 10005000: Subsidy will decrease 0.0001 FLX until it reaches zero. Block 11005000+: 0.2% Yearly inflation will be maintained. The Flux Antimatter Vortex Algorithm, or just the vortex is a algorithm designed to replace the famed Kimoto Gravity Well. It allows for quick block-by-block difficulty adjustments by taking a weighted average of the past 11 blocks. This ensures that the previous block does not result in a radical difficulty change while enabling over 3x hashrate increases to be mitigated over the course of a few blocks. The vortex is designed to be immune to 'timewarp' attacks. The Flux Wallet will have inbuilt mining support, a statistics page, and a block explorer. Code courtesy of FoxCoin. We have decided to create flux because we believe in cryptocurrency as a form of money. 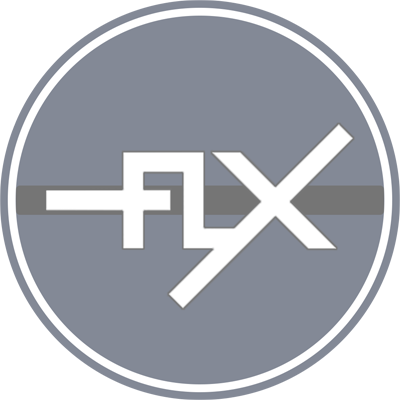 Flux is designed to be fair from the get-go with early adopters not amassing a huge amount of Flux. This helps mitigate the 'flash in the pan' syndrome of many 'altcoins' - where as soon as it gets on the market there is a huge sell-off and the currency is left with no value. The goal of any currency launch is to get as many different people units of the currency as possible. Flux is designed to allow this to happen by giving ample time for people to participate and begin mining. The block subsidy will decrease in such away that it allows plenty of time for Flux to be come known to the public before the subsidy even so much as halves. Flux utilizes SHA-3 "Keccak" hashing as it currently has no Aplication-Specific Dedicated mining equipment developed for it but has full miner support across all major platforms for both CPU and GPU. In combination with the Flux Vortex, we believe this will be an ample combination to keep the generation of flux both decentralized and consistent. We believe that the small amount of inflation provided by Flux (0.2%) Will be healthy for it as a medium for exchange. This inflation will help keep the value stable and will prevent a 'deflationary spiral' without causing large inflation resulting in the opposite. The increased subsidy will also provide a more worthwhile incentive to mine Flux and secure the network in higher difficulties. Flux supports decentralization, help by mining in a Decentralized P2Pool. Take part in the Flux community. Because the Flux Foundation is not supported by a premine of any kind we'd appreciate donations of any size to help us support the development and support of Flux. No premine, No IPO and SHA-3 - Be interesting to see how AMV works. All views are my own, except those that I have subconsciously inherited from my parents and those that I have nicked from far cleverer people. Launch is today, keep an eye on progress here. Date is official unlike the previous bumps. 1% fee for the server cost. Im trying different miners now, still same deal, Ide love to mine this, but I think ima need more info to do it , correct miner in the OP mabey? Sample config? Thnx. https://meth.hardcoreminers.com If you look at the getting started page you will see some info for this algo! Mining software & settings for your card. I try to go to your pool page, and times out completely. why wallet download are not available??? in "Why stuff isn't here.txt"
i can read "We haven't launched yet." not yet launched... so plz upload wallet before launch.